I had a dermal anchor piercing (also called a microdermal implant) done last year and it healed pretty well without much care on my part. 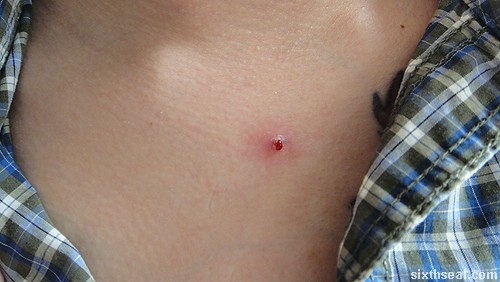 However, the skin around it started getting inflamed and I knew that my body was going to reject the piercing. 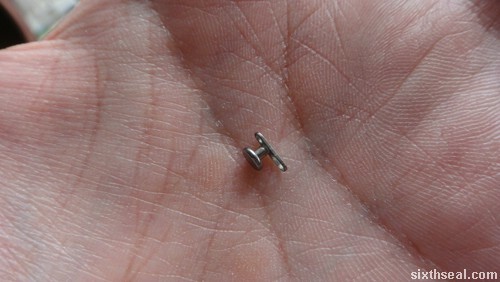 The microdermal implant started growing out when my niece pulled at it during Chinese New Year and it has caught several times against my clothing ever since. I got really tired of it and decided to pull it out just now. 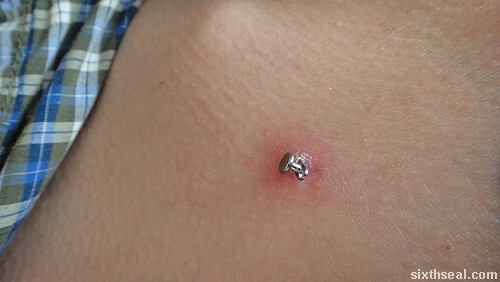 Microdermals are foreign objects and your body will reject it given time so I figured I might as well expedite the process. There’s minimal bleeding and at least I won’t have to feel uncomfortable with it snagging against my clothes anymore.